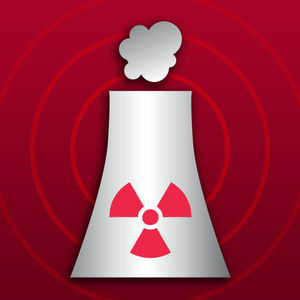 The Nuclear Power Plant Proximity detector is an app that helps you determine the Nuclear Power Plants that are in your area. 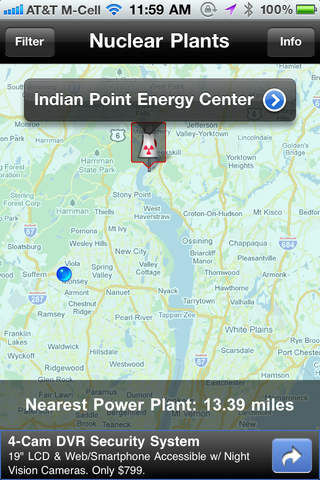 The app will plot the Power Plants on a map and let you find out if you are in the plant's "hot zone." It will also overlay earthquake historical data to show you if those plants have ever been through an earthquake. The earthquake data is aged over time and has various degrees of color depending on how recent, severe and devastating the earthquake was. 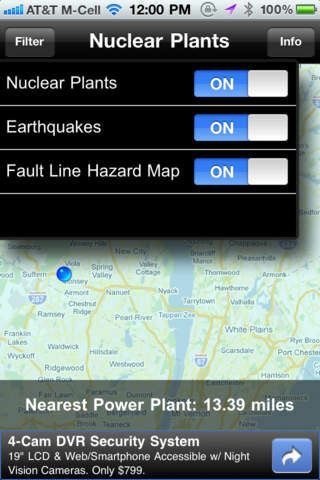 If your Power Plant is near locations that have historically had earthquakes, you may be concerned. Additionally, we have an overlay for fault lines within the United States. Fault lines under Power Plants can be an extra level of concern for those near these plants. The chances of an earthquake on a fault line is higher than in places where there are no fault lines. 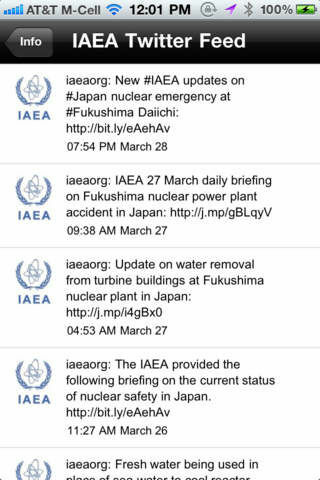 The app also shared the latest news via International Atomic Energy Agency and contains helpful information on what to do in case of a Nuclear Power Plant emergency. Finally, you can buy survival food and materials on Amazon Mobile through our quick links within the info tab. This app was designed and developed by RustyBrick. The data is complied through sources on Wikipedia.